Small businesses are making big leaps in the federal GIS sphere. The more than 70 partners that are involved in Esri's year-old Federal Small Business Specialty (FSBS) program—which helps small companies increase their GIS capabilities and engage with Esri on opportunities to work with the federal government—are developing fresh GIS apps that are designed specifically for federal government agencies. As partner of the year, Blue Raster showed achievement across all areas of the award criteria—including FSBS program participation, marketing, customer successes, and alignment with Esri technology—when it developed the Environmental Protection Agency's (EPA) Critical Loads Mapper. 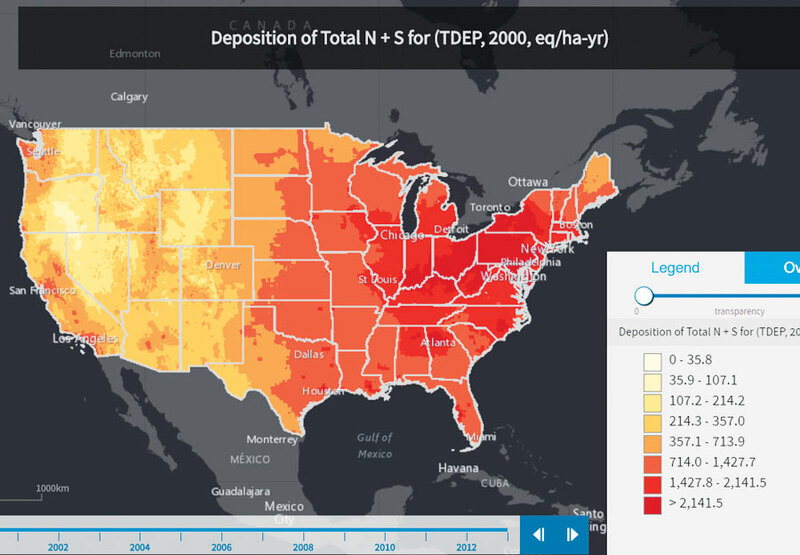 This public, online app, which is part of the EPA's Global Change Explorer platform, assesses the effects of nitrogen and sulfur pollution on ecosystems. 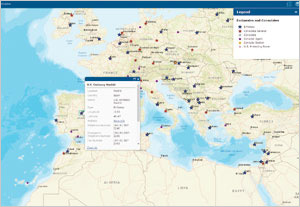 A collection of three web tools that Blue Raster built on the ArcGIS platform, the app allows users to access, visualize, and compare spatial data that illustrates potential future environmental change. This can serve as a starting point for figuring out how vulnerable air, water, ecosystems, and human health are to climate change, alterations in land use, and other large-scale environmental stressors. GISinc is this year's innovation partner, meaning the company introduced a solution that leveraged the ArcGIS platform while also adopting emerging Esri technology and ensuring that employees maintain up-to-date GIS skills. The company's solution, SmartSpace, moves military installations and other federal agencies beyond simply implementing smart lighting by giving them a comprehensive energy and facility management solution. SmartSpace is part of GISinc's Geospatial Internet of Things (GeoIoT) integration, a program that helps companies integrate IoT equipment into their operations. 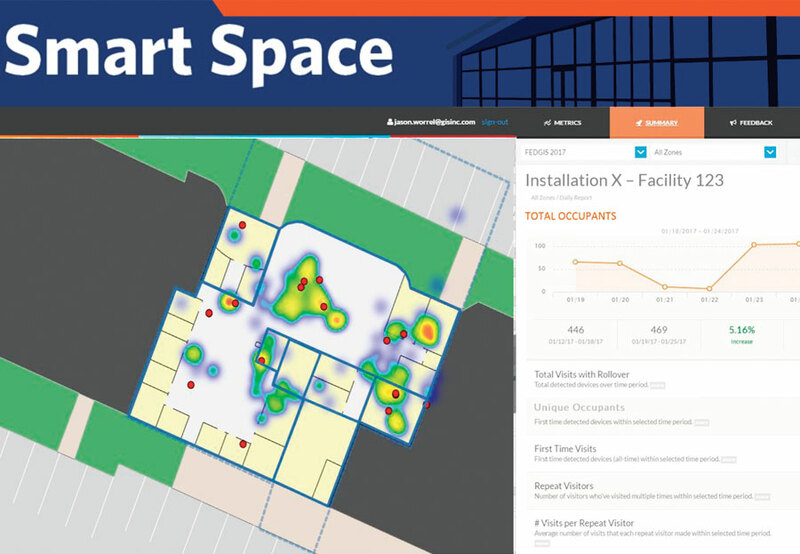 Using highly configurable platforms, SmartSpace connects vital facility management systems, IT networks, and devices so that users can monitor building operations in real time and maintain energy compliance. Additionally, having secure, wireless-controlled automation and connectivity enables organizations to easily customize and upgrade their systems. An Esri partner for less than two years, INCATech won the FSBS New Partner Award for demonstrating a strong commitment to the program and successfully collaborating with the Esri sales and/or professional services team on a project. The fully woman-owned small business deployed an update to the US Department of State's Bureau of Consular Affairs' travel website that incorporates dynamic maps into travel alerts and warnings. 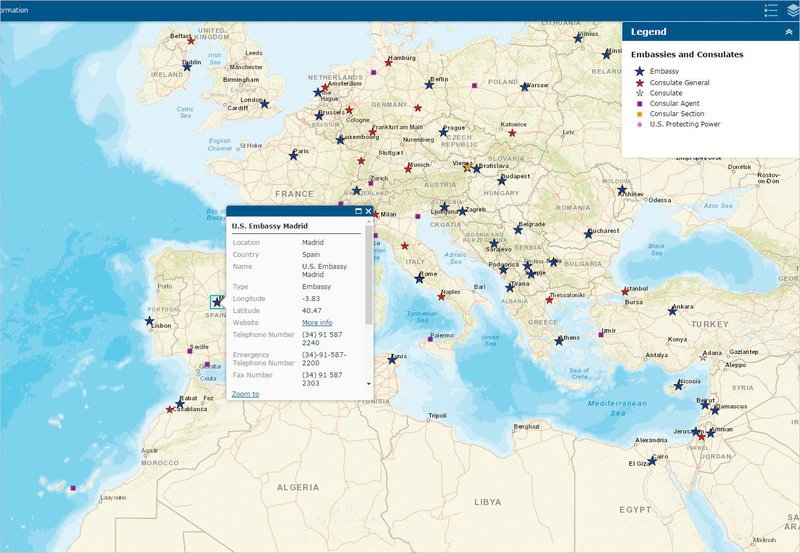 The new maps fuse data from both the Department of State and Esri so that pertinent information for travelers—such as contact information for US embassies and consular district boundaries—is easy to find, dynamically displayed, and interactive. The maps are even mobile friendly, which improves the website's overall user experience—especially for busy travelers.